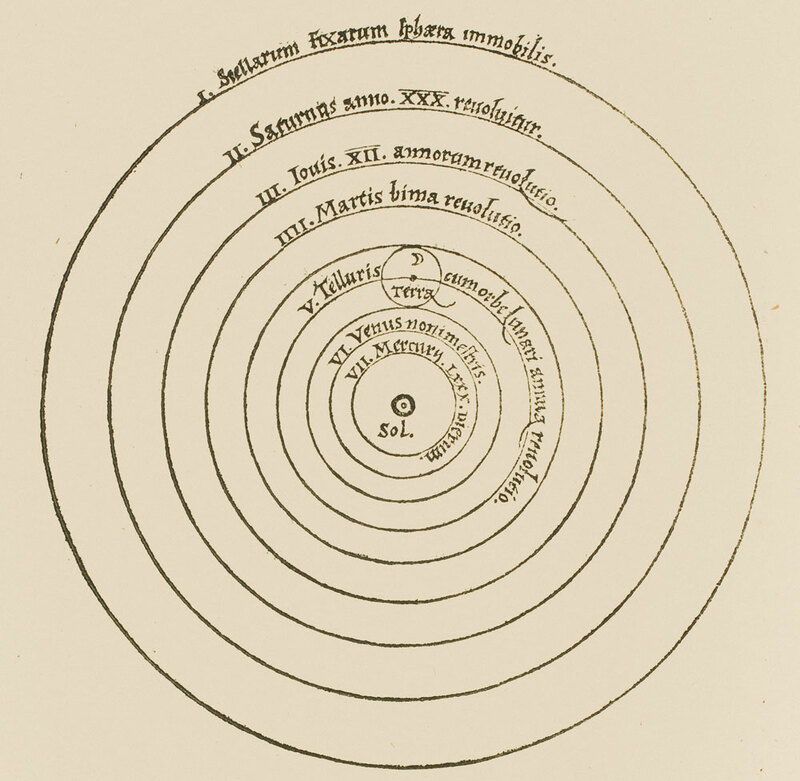 The success of De revolutionibus (top) itself may have been overstated – Copernicus posited problematic circular, rather than elliptical, orbits, and it was not until posthumous revisions of his theory were made (by Kepler, Galileo and Tycho) that heliocentrism became the consensus among scientists. But the image of the heliocentric universe has become an icon of scientific endeavour and rational thought; without it, and the scientific revolution it initiated, the world we live in today could have been a very different place. Image courtesy of Masters and Fellows of Trinity College Cambridge.